Is your iPhone 6 (Plus) running slower over time? Is your iPhone running out of storage? If you are running into these concerns, you need an iPhone clean and turn-up utility. 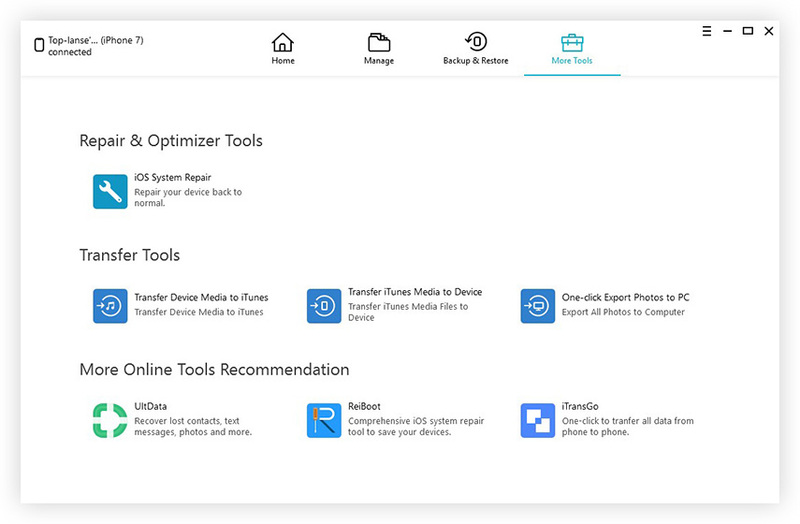 iPhone Care Pro for Mac is proved to be the best iPhone system care utility for its 5 big features to cleanup, tune-up, fix stuck, backup & restore iOS device. This iPhone speedup and clean utility features removing junk files, deleting private data, managing iPhone files, iOS stuck fixing, and data backup & restore. Designed for Mac OS X, you can install this software to OS X 10.11/10/9/8/7 and connect your iPhone, iPad, iPod running iOS 10/9/8/7/6 to it for cleaning and optimizing. Quick Clean in iPhone Care Pro can remove 8 types of junk files in your iPhone (6s, 6s Plus, 6, 6 Plus, 5s, 5c, 5, 4s) and iPad/iPod touch. These junk files include: app caches, app cookies, app temp files, app crash logs, download temp files, photo caches, user storage files, and iTunes radio caches. 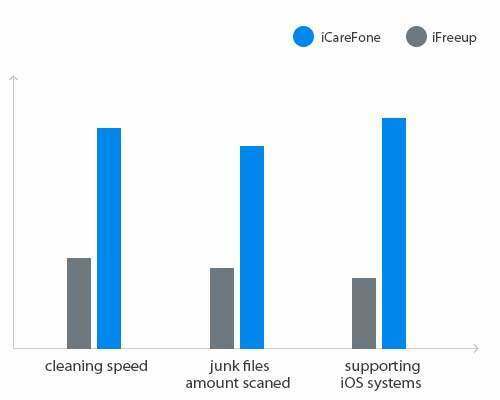 By removing these junk files, your iPhone will be freed up storage and run faster. Worrying about photo leak? Messages, Photos, Safari cache files, Browser cookies, etc. are sensitive data that we do not want others to know. iPhone Care Pro for Mac take this into consideration and allow you to delete sensitive data in your iPhone, iPad or iPod touch. Choose file types that you want to scan and delete, click “Scan Now” button. Once the scanning is completed, you can preview all files found and click “Clean All” to permanently delete these files. Lots of duplicated Contacts in iPhone? Want to export videos/audio/photos to computer? iPhone Care Pro help you keep iPhone files organize. 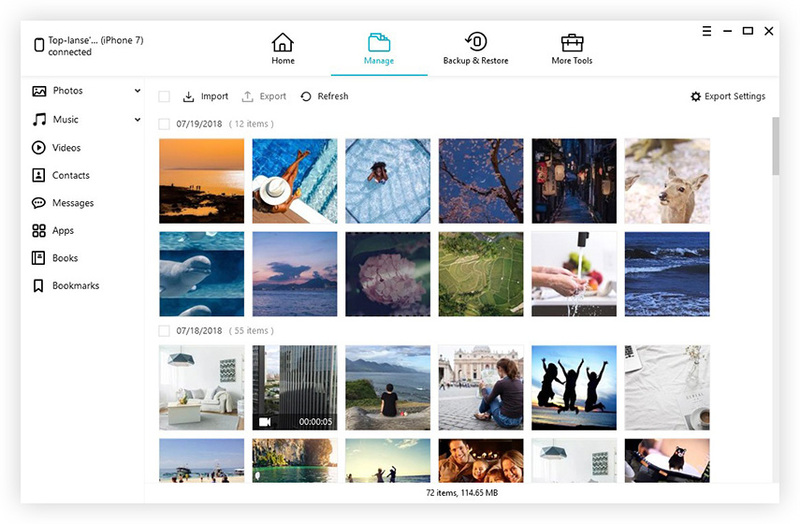 It manages Contacts, Photos, Music, Apps, Videos, Calendars, Notes, and Bookmarks allowing you to add, edit, delete and export files in batch. iPhone got frozen during iOS 9 upgrade? iPhone stuck on reboot loop after iOS 9 update? We may run into iPhone stuck issues at any step before/during/after iOS 9/8 update or jailbreak. iPhone Care Pro for Mac offers solutions in accordance with the common problems you’re most likely to encounter, including black apple logo, endless reboot, recovery mode, DFU mode as well as frozen and blue/black screen of death. Removing in-app ads (banners, alerts and popups) on iPhone 6s/6s Plus/6/6 Plus/5s/5c/5 give you a totally ads-free experience. You can remove all kinds of ads like banners, alerts, floating ads, popup ads, etc. iPhone Care Pro allows you to quickly backup & restore your iPhone, iPad or iPod touch. The best advantage of backing up with iPhone Care Pro is that you can keep each individual backup file; restore specific files or specific backup when needed. This cannot be achieved in iTunes. With these powerful and reliable features, iPhone Care Pro is the best iPhone system care software for you to optimize iPhone and keep iPhone clean, safe and fast. So, it is an iOS tune-up utility for Mac that we should own.